The sea is so fascinating. Here the waves are coming in at low tide, swirling the long strands of exposed kelp and swelling against the sides of the rocks. Also intriguing is the way the sea water seems to change colors as it comes in. 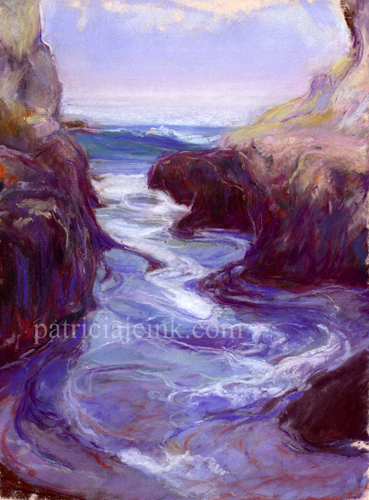 This painting is swirling with energy as opposed to the previous reflective painting, Tide Pool Tunnel.